One of the most common usages of lead sheet is as a weatherproofing material in the building industry – including flat and pitched roofs, flashings, gutters, parapets and all lead detail work. 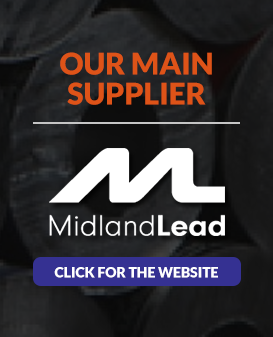 Both our premium cast and rolled lead sheet are produced to the highest standards and rigorous quality control is in place in accordance with a quality plan certified by the British Board of Agrement (machine cast lead) or the British standards Institution (rolled lead). Further checks ensure that the lead sheet produced, is at least 99.95% pure and that each lead roll has the consistent thickness (+/- 5%) and UK standard specification weight. Moreover, each lead roll for weatherproofing now also gets a CE mark – fully supported metal sheet and strip for roofing, external cladding and internal lining – to ensure the material is fit for purpose.